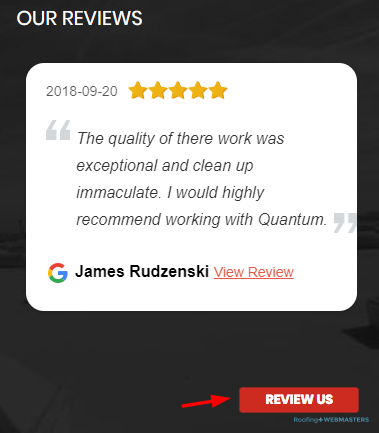 How Does a Roofer Get Online Reviews? The 3rd tip is one that many roofers don’t understand how to do. Roofing Webmasters provides a widget called Righteous Reviews which accomplishes this goal. It takes reviews from Google, Facebook and Yelp and populates them onto your main website. But best of all it allows customers to leave reviews on those platforms directly from your site. An additional feature sends text reminders to customers with the embedded links. Learn more about Righteous Reviews through website reviews integration. 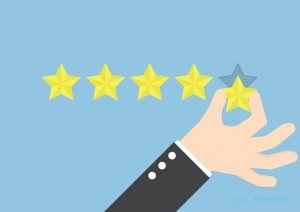 There’s no need to belabor the importance of online reviews in the modern digital age. Every roofing contractor in the country understands that online reputation directly correlates with future success. For contractors just starting out, earning the trust of a local community can be difficult and time consuming. Roofing Webmasters can relieve some of that burden with our online reviews and reputation management services. We’ve been working with roofers for decades and know exactly what their target audience looks for in a company. Is It Really Ok To Ask for Online Reviews? One thing you’ll want to avoid at all costs, is placing a financial incentive on review solicitation. Websites like Yelp have cracked down on manipulation of the review system, and will penalize your company for engaging in malicious review generation. That doesn’t mean you can’t run giveaways and promotions to get your logo in front of a wide audience, you just can’t explicitly exchange money or goods for reviews. Roofing Webmasters can help you through each step of the process, so that you never fall into a gray area. Be careful what you wish for, or so they say? By getting more online reviews, you will, as a result, get some that are negative. This shouldn’t discourage you or your company, as negative reviews are part of doing business. With that said, the amount of positive ones should far outweigh their negative counterparts. 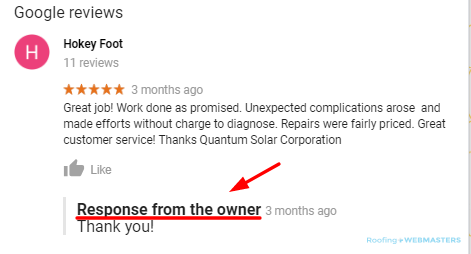 Additionally, all reviews should be responded to, regardless of their nature. As they say, there is no such thing as bad publicity. While that may not be universally true, every review does provide a PR opportunity for roofers. You log on to your Yelp page and notice a bad review that embellishes, exaggerates, and flat out lies about certain aspects of the job. Instead of getting frustrated and ripping into the customer on an expletive filled rant, you’ll want to take a few minutes to cool down. Remember, your company’s reputation is at stake, so how you handle this will help define that reputation. Once you are calm, you should evaluate the complaint point by point, and craft a solution-oriented response that apologizes to the customer (even if they are wrong). If possible, you should try to resolve the dispute over the phone or direct messaging. Updated on March 14, 2019 at 7:17 pm by Roofing Webmasters.